When I was in my early twenties, my life was so chaotic that instead of sorting things out I thought… “meh, I will do something about this later. I am not in the mood this YEAR”. I had no energy or will to do anything about my messy life. There was so much of everything. And all the motivation I had? 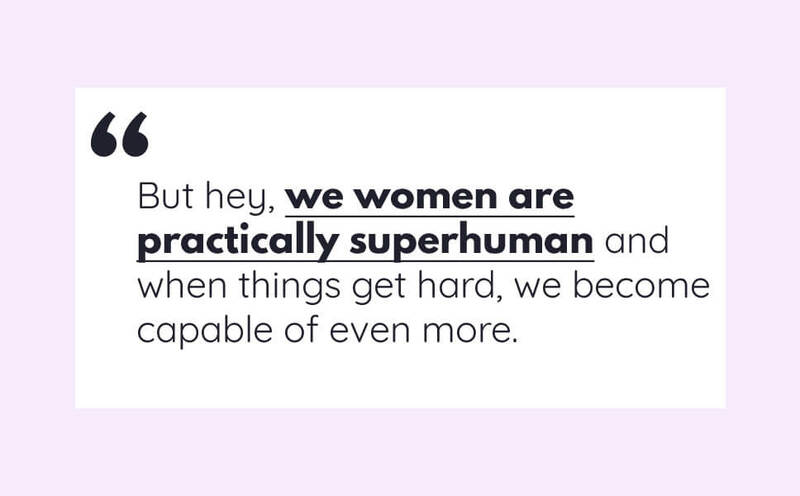 Just a continuing self-beat talk in my head. Not the best support, I know! You see, I was just a twenty-something millennial girl who always had a billion of things to take care of. On top of that, I had a cherry on a cake – the things were rarely going my way. Somehow, I wasn’t very lucky in my early twenties. I guess some people have it easier, some – harder and the latter was the case for me. How am I supposed to stay motivated and productive when there are so many things going on? And also – so many things going wrong – AT THE SAME TIME? In fact, there were so much to do that I knew – if I don’t change anything, I’ll stay in that chaos forever and probably go crazy. I decided to reclaim control and beat negative thinking once and for all. It was a slow process, but I finally made it to recovery. There are a few methods that helped me and I will tell you exactly what I did. There are ways to beat negative thinking and emerge from it – stronger, brighter and harder than before. Turns out beating negative thoughts is possible, but you have to ACT. 1. Get out of the victim role. I saw myself as a victim of my circumstances and everything that ever happened to me. And paradoxically, it felt quite good. You see, being a victim is easy. You don’t have to do anything about your problems – just stay sorry for yourself. And you don’t believe in a happy ending anyway. But sooner or later you find out that staying a victim means staying miserable forever. No one is going to drag you out of it. It’s only you, pretty. And that didn’t feel right with me. I wanted to stay sad at that moment, but I didn’t want to stay sad forever. It meant that the sooner I try, the sooner I get out of it. So how do you get out of a victim role? By turning your thinking upside down. First, say goodbye to perfectionism. I had so much experience of things going wrong so I thought – why would they be perfect in the future? They may go wrong again. I promised myself to be ok with this and never give up again. 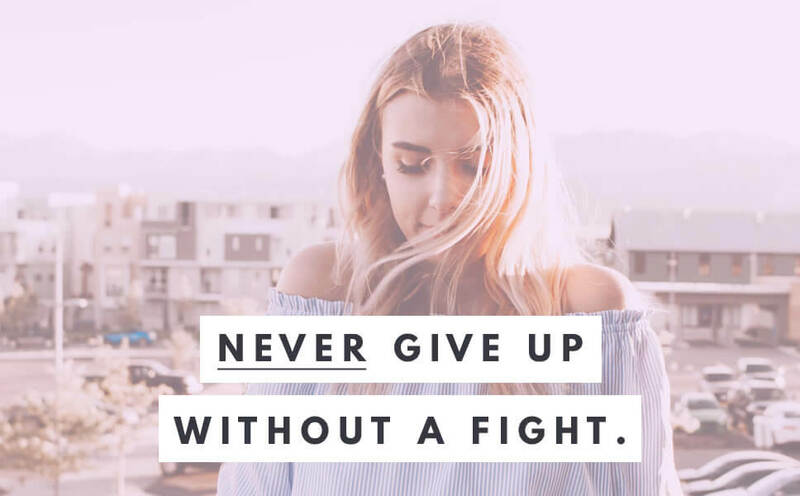 Even when facing the hardest times of my life. Second, take care of your fear. Since I was facing many problems and unfinished tasks, it meant that I will have a lot of hard moments. I took every negative thought and intentionally turned it around to a positive one. This helped me to go through the biggest tasks in a pretty inspired mood. If you want to reframe your thoughts too, check out my Mental Wellness Super Pack. 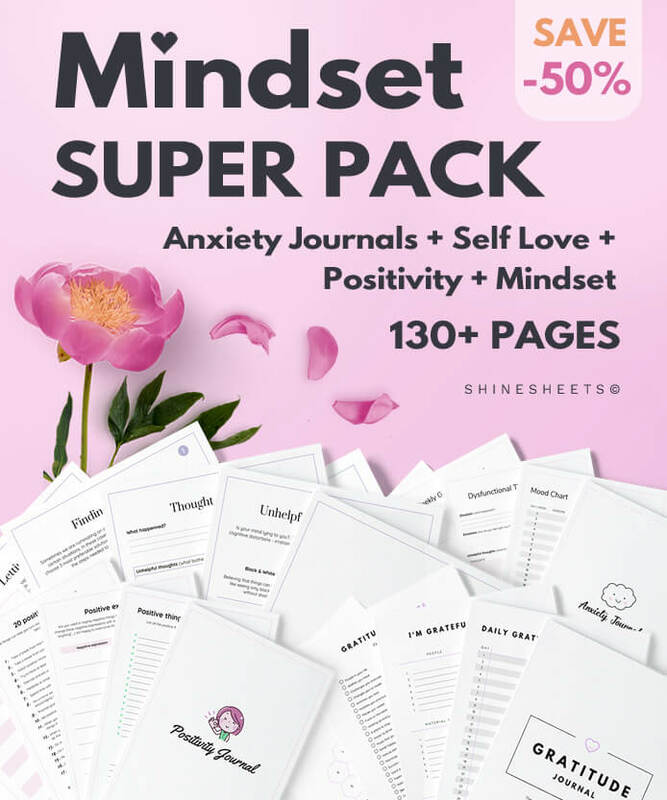 It is an amazing 130+ Page printable pack that helps you learn how to deal with negative, unhelpful thoughts stay strong in hard situations. I use it every time I feel anxiety rushing in! Mistakes I did while beating victim mode. Do not compare yourself to others at this moment. Forcing yourself out of the victim mode doesn’t mean being hard on yourself. Do not do that! You’re in a bad mood already. Don’t add extra weight on top. Use self care and encourage yourself with positive affirmations. 2. Start planning & organizing. Since there was so much going on, I needed to become active. I needed to put things in their places and I did that by planning my future. My days, my weeks, months and even years. Finally writing down important dates. Tracking my finances and everything else that felt important. Results were stellar – I finally got a grip on my tasks, appointments, and projects. Slowly, but surely I got back to my normal self and moved on forward. When looking back, I see that negative thoughts often come from a lack of order. Yes, there are situations when it’s hard to stay positive. But having a plan gives you at least a feeling of control. At least a pinch of hope – a perfect antidote to negative thoughts. 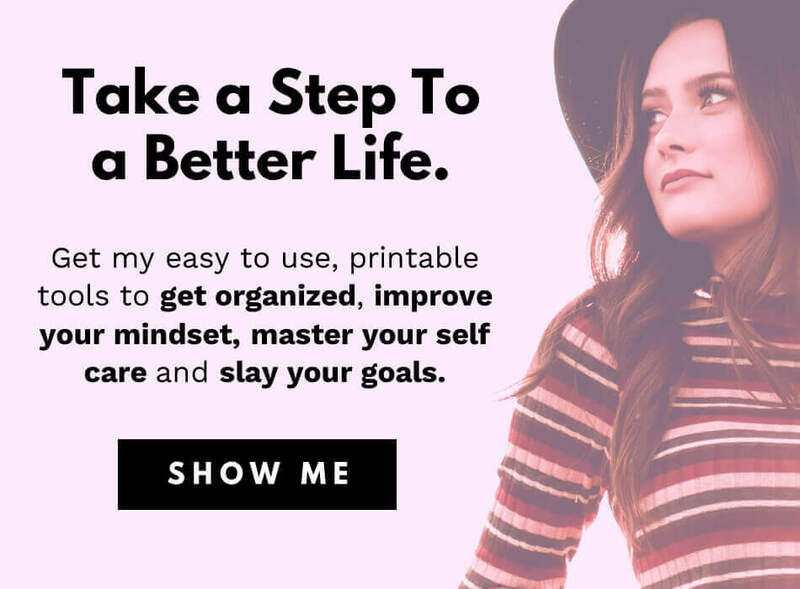 If you feel that your life is too messy and it’s bringing you down, start a planner pretty! It is the best thing you can do at this moment. 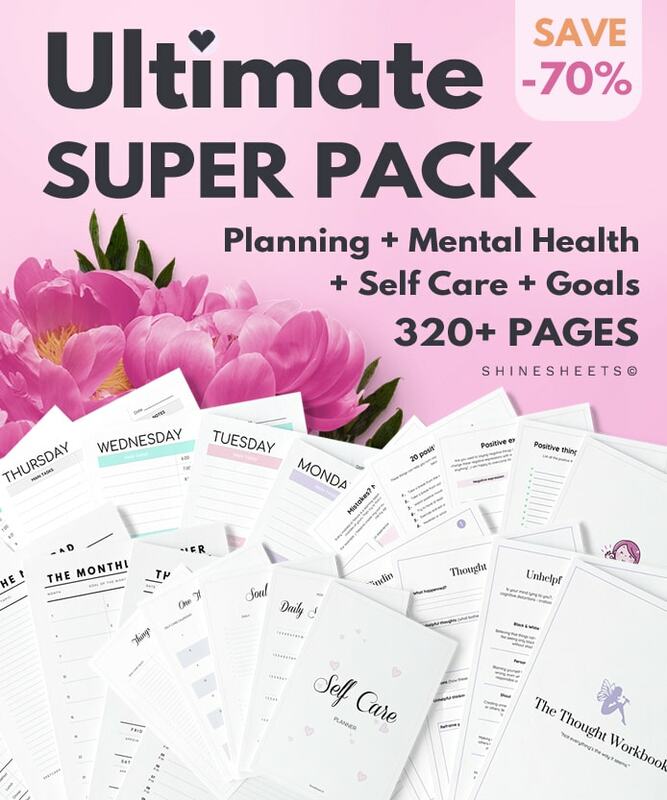 Check out the ShineSheets store to get ready to use, printable planners to set up yours right away! Mistakes I did while organizing my life. At first, I got a little too excited. My anxiety kept pushing me to organize as much as I can every day. I felt super organized, but also very tired. I took things a little too fast. A little too much at once. And instead of being super happy about my new, organized life and a sparkling new planner, I felt even more exhausted. 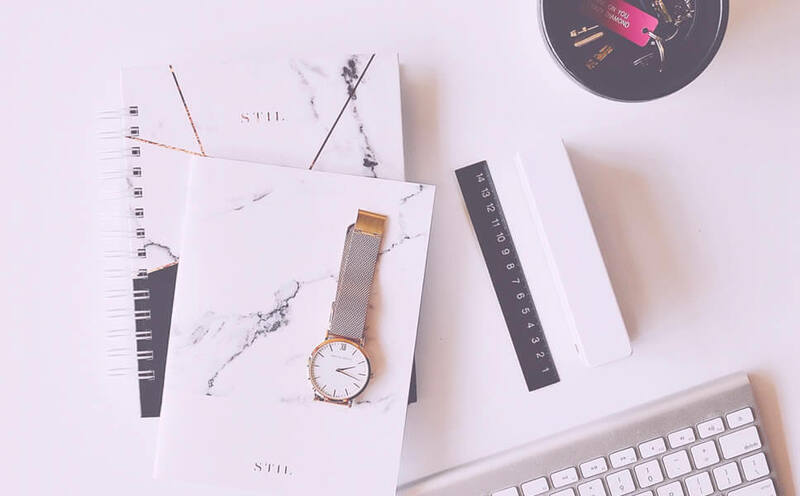 I’m not telling you to skip organization – no! It helped me to get out of my slump like nothing else. Planning your life and sorting your environment – these things will help you achieve your goals. Take it seriously! But the secret is to start life organization gently. Especially if you’re an anxious person (and if you are), check out my tips on how to organize your life if you’re an anxious person. 3. Read inspiring self-improvement books. 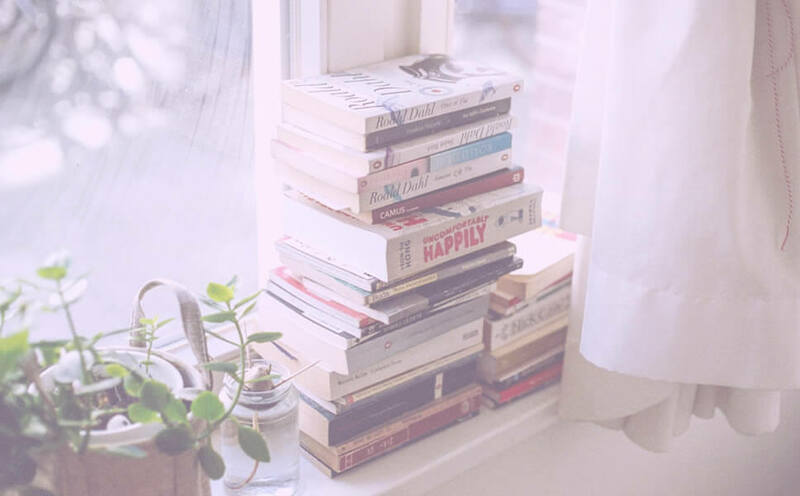 Since you probably lack self-compassion, inspiring books can be a real lifesaver. Once I started reading one self-help book after another, it hit me: there are thousands of people who already solved many problems that I have. They have working solutions, so I only need to take their knowledge and apply to my own life. A great book that I recommend is The subtle art of not giving a F*ck by Mark Manson . It’s an inspiring, eye-opening book, sold over a million times. The author isn’t some kind of life coach or writer – just a simple guy who cracked down the code of not giving that many f*cks. This book is perfect for you if you want to become happier, braver and more fulfilled! Mistakes I did while reading self help books. I could name only one. It’s trying o read a lot of mediocre books instead of finding really good, bestselling books that give the most value (like the one I just mentioned). Hey, if a book is a bestseller, it probably has a good reason why! So instead of grabbing anything at the bookstore, browse online for opinions and recommendations. Book lovers all over the internet have already found the best books so there is absolutely no reason to skip their recommendations. I mean, they did your job for you! You may say, why would I listen to you? Why would I trust your advice? The truth is – You don’t have to. I’m not a superstar life coach like Tony Robins or Brian Tracy . But if these things work for me, they may work for you too. If you are in a slump right now, I encourage you to try one of these tips and see if it helps. You’ll never know where a step can lead if you don’t take it! Do you struggle with a bad mood or negative thinking? Thank you Isha, I’m glad you could relate! Stay shining girl! Hey Amber..!! Great Post..! Self Improvement books work like magic..!! Even I am into reading them and they have helped me a lot throughout my struggles. Also if you are interested, do read the book “How To Be a Bawse” By Lilly Singh, it’s a great book..! Reading inspiring and self-improvement books really help me get out of that dark side when I start thinking negatively about myself. It helps and most times, it soothes you and reminds you that you can do it.